The Isle of Harris is probably the most scenic of all the Western Isles and perfectly situated to take in all the island has to offer, is Avalon. Avalon was 4 star graded with Visit Scotland but due to rising costs, recently withdrew from the scheme. However, we continue to provide a four star service, having provided Bed and Breakfast, for over twenty years. 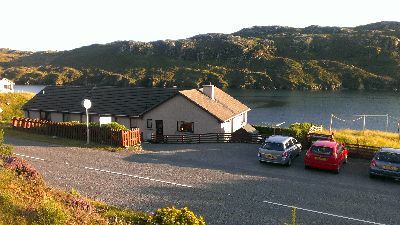 The house is situated on the family croft, with a southerly aspect over West Loch Tarbert. Some of our rooms have extensive views of the loch. Here, you will find peace and tranquility, in comfortable and friendly surroundings, whilst you view the wildlife from your window.